It’s that time of year again! Halloween parties, Thanksgiving dinners, pumpkin carvings, etc. etc. 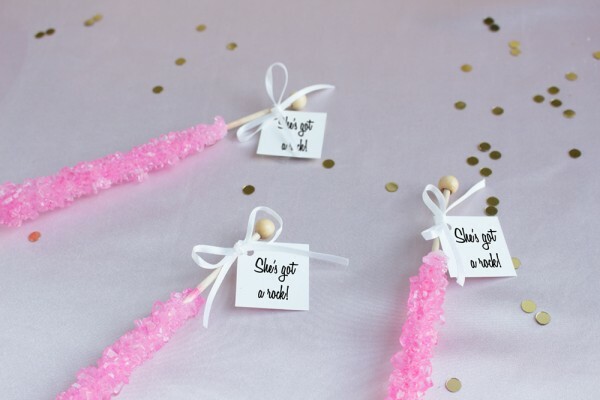 Your social calendar is packed with fall-themed invitations and being the ever consummate guest, you’re already on the hunt for awesome hostess gifts. 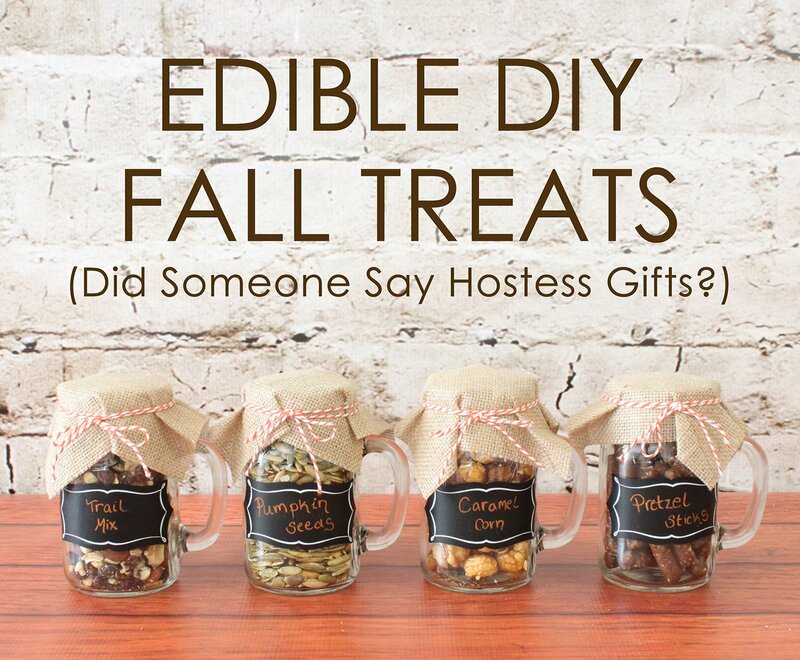 Here’s where we come in… check out our latest DIY project: edible fall treats. Delicious seasonal delights are gorgeously packaged up in rustic handled mason jars, topped off with a pretty burlap lid tied tightly with twine, and finished off with vintage chalkboard cling labels. 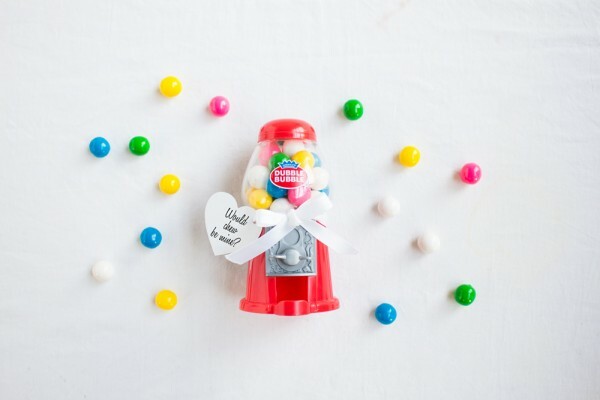 These DIY fall gifts are sure to be a smash. Simply fill the jars with the treats of your choice (we list one of our fave fall recipes below! ), drape the burlap on top, secure with twine, and adhere the label. 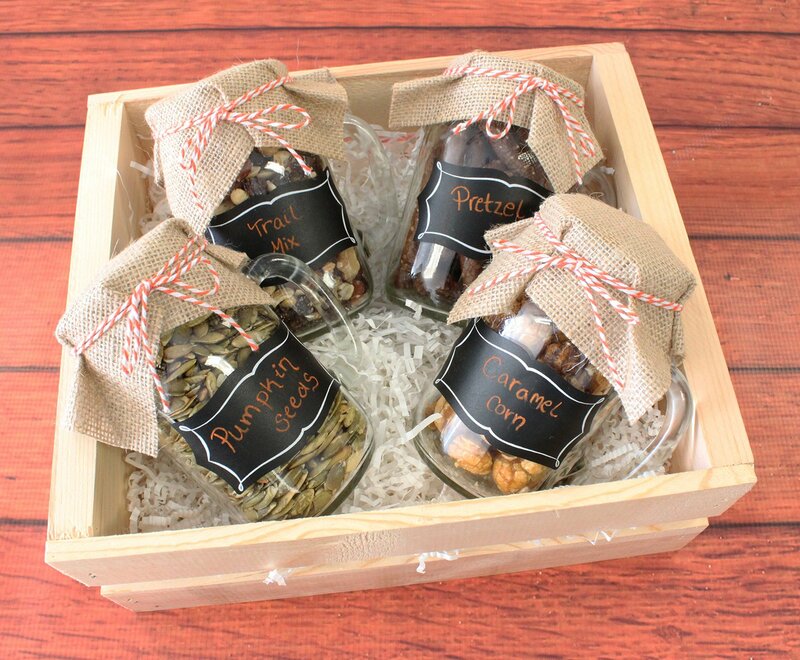 Try giving these yummy fall treats as gifts to neighbors, friends, family, or as our favorite idea… as a set to your favorite hostess! Looking for a delicious fall recipe to get started with? Check out our favorite recipe below, brought to you by The Soup Addict. 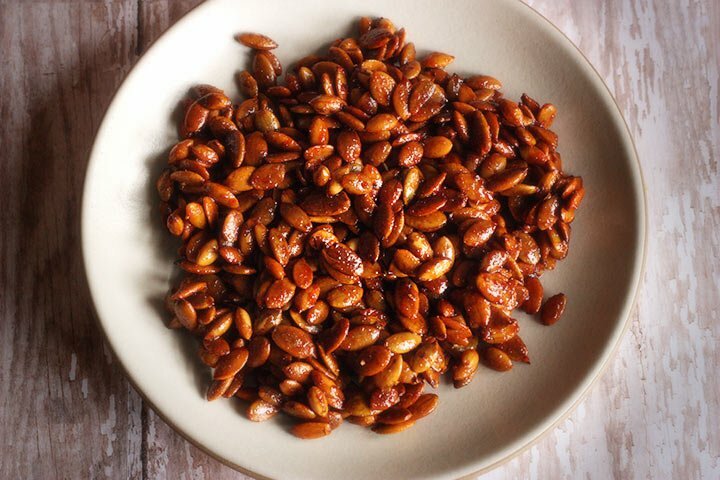 This honey-sriracha based pumpkin seed treat is unbelievably yummy and addicting. Your gift recipients will be begging for the recipe! Meanwhile, whisk together the remaining ingredients in a medium bowl. Pour the hot seeds into the sriracha mixture and stir to coat well. Return the seeds to the baking sheet, spreading them out as best you can – they’ll be sticky. Bake for 5-10 additional minutes to caramelize the sauce on the seeds.